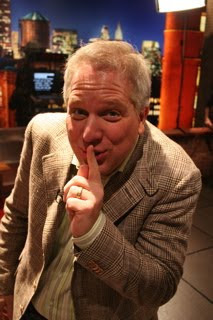 Faux News host, and Mormon, Glenn Beck ia accused of a blatant conflict of interest concerning his frequent on-air promotion of Goldline International, a precious metals vendor that features the TV and radio host's endorsement prominently on their website. Critics charge that Beck is guilty of misleading his audience by often advising them to purchase gold without disclosing that he is in fact a "paid spokesman" for Goldline. Beck's promotion of gold presents a potential problem for Faux News, which strictly prohibits on-air personalities from making paid product endorsements. When contacted by Daily Finance for a comment on the matter, Faux News senior vice-president for development Joel Cheatwood said the network "makes an exception for its commentators who are also radio hosts". The end of days as foretold by Beck will be painful, but I will insulate myself by buying his gold and praying to Jebus.